Well, Awesome photography for one. I am there for the full day and I work whilst watching the day unfold. Blooming from nervy mornings full of prosecco and giggles into the warm, wild nights full of dancing. With glorious moments of love in-between. Everyone involved has a tale to tell and it’s in those tales that I find the opportunity to get your gorgeous, emotive memories into the photos. Creating photos this way allows for the story of your day to be told in an honest and authentic way. I take great inspiration from nature and I love the world we live in. I love the landscape and whenever possible I like to incorporate it into my work. It could be the beach, the wild rolling hills or an elopement in the mountains. Immersing people in the world that surrounds them and their wedding creates beautifully individual wedding photos. As for me, I love Wild Swimming, Climbing, Hiking, Kayaking, Exploring, Singing and Dancing (badly) and of course taking photos. If that sounds good to you then read on to find out more. Your wedding is an amazing day. It can be a mega party or a chilled out evening with good music and good friends. A huge feast in a barn or pizzas in the garden with your closest pals. Whatever your wedding day is, it should be about you; your style, your way. This is why your wedding photography has to be spot on! Your individuality makes my job the most wonderful in the world and in turn, I want to give you the best images for you to reflect on and enjoy for years to come. I believe that wedding photography should tell your story. You stamp your style on the day and I’ll capture it! Though the majority of my work is leaned towards a documentary vibe, I am a sucker for a killer Portrait. On occasion, I may ask you to take a walk together somewhere or just sit together and chill. However, I’ll never put you in any boring, rigid poses. We’ll have heaps of fun and you’ll end up with amazing wedding photos! If you want to see more of my work then check out these awesome real weddings here. Also, you can see what my brides and grooms have to say here. When booking your wedding photographer, you don’t want to be wading through quotes and packages. My pricing covers the whole of your wedding day from Bridal/Groom Prep to the party later on. Being there for your full day allows me to cover all of the gorgeous, romantic, fun, incredible moments that make your wedding day special. Documenting the very best of you and creating memories for you to look back on in years to come. My price for 2019/20 dates starts at £1600 and includes the following as standard. Full day coverage from Bridal prep to Party time. A minimum of 500 images from your wedding edited in my signature style. A password protected online gallery for you and your friends and family to look through and re-live your beautiful day. Unlimited Downloads from your private gallery. If you’re after something a little more, you can, of course, add any of the extras below to elevate wedding photography experience, showcasing your incredible day. In this day and age digital is everywhere. It is the standard and for good reason. Being able to access your images and download them whenever you like makes life easy. That’s why my base package includes this feature. However, we are tactile creatures and there’s nothing quite like REAL. Real photos, real ribbon, real cotton, real luxury. That’s what you get with these amazing Print Packs. Each pack contains a selection of 50 Fine Art photographs from your wedding day. A high-speed USB with all your wedding photos in both high-quality format for your own printing needs and a social media format, perfect for sharing with family. 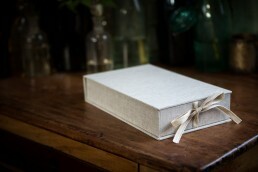 These beautiful additions to your day are wrapped up snug in a stunning, handmade presentation box. 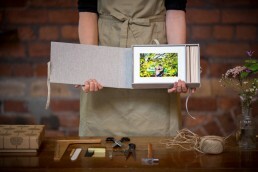 Now, When I say wedding Album, I don’t mean them floppy old books with cling film everywhere. I mean unique and beautiful Art. Every album is handcrafted with the highest quality, eco-friendly materials and care to showcase your incredible day in all its beauty by the geniuses over at Folio. I work with you every step of the way in the design of your Album. From the choice of paper to the cover colours and materials. An Album is designed to tell the story of you and your wedding day. 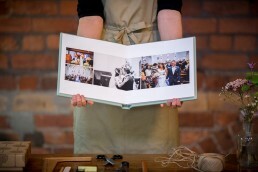 Each photo is carefully chosen and placed within pages that create a natural flow through your day. These Albums are created with you in mind. I work to make sure your day is showcased in the right way, so once designed, proofs are sent to you for approval. Once approved, your book is sent to be made by some amazingly talented people! These Albums are a real investment. So unique, made with love and something you can show to your grandkids. 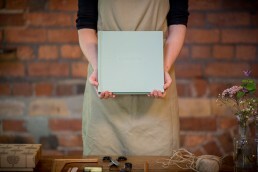 So, if you want to save your photos in the best way then let me know and we can get creating your new favourite thing! Engagement sessions are amazing fun. An Engagement session is a 2-3 hour photo session with me ahead of your wedding day. These sessions are typically held somewhere that holds significant meaning for you both. It can be anywhere from your favourite city, a local park, the beach, the woods, up a mountain to a disused airstrip. Anywhere really. A word of warning, if you book one near the sea in summer, I might end up in there swimming and I’m gonna try to get you swimming too!